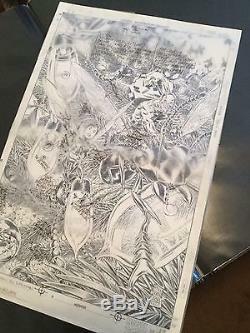 Original pencilled and inked cover art by Phil Winslade and Richard Isanove. Published as the cover for Ant-Man's Big Christmas. 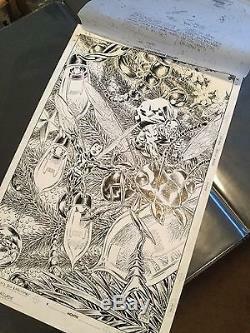 Art has a transparent overlay taped to it with coloring and publication instructions. A stunning piece of art. 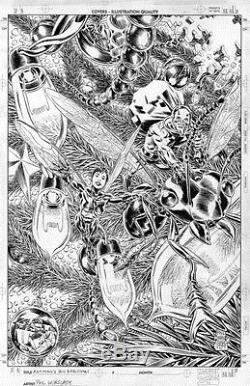 The item "Phil Winslade Ant-Man Wasp original comic book cover art Big Christmas" is in sale since Saturday, July 15, 2017. This item is in the category "Collectibles\Comics\Original Comic Art\Covers". The seller is "howardtheduck78" and is located in Jacksonville, Arkansas. This item can be shipped to United States.